Do you love music? 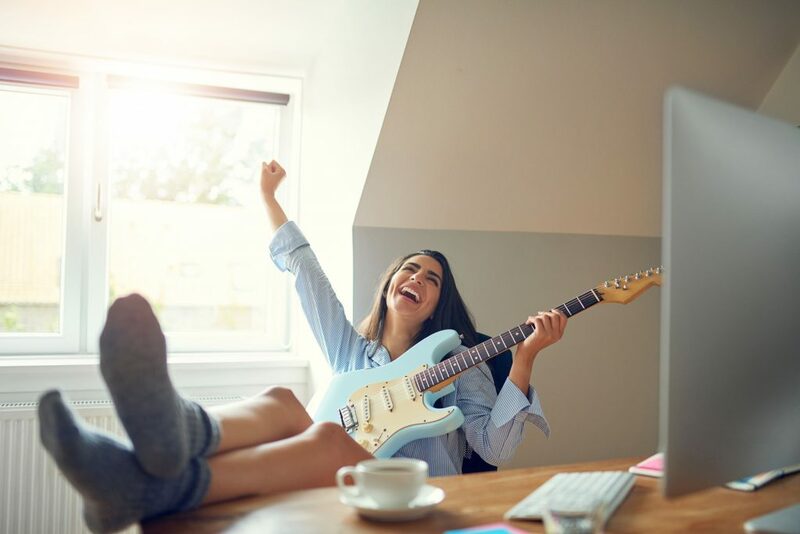 Is it your dream to have a career in Music? There are many jobs that involve working with Music that can satisfy your desires. Singers and Musicians are the most obvious of occupations in music but not all of us have the talent for those roles. There are multiple options that allow you to be involved in music. The variety of positions in the music industry is appealing. However, the number of workers in this industry is considered low. A significant amount of workers in these professions are self-employed and music is not always their primary source of income. Projected growth for most of these careers is slower than average at 3%-7%. There are a few standout careers such as Choreographers with expected growth at 22% and Audio and Video Equipment Technicians at 8%-14%. Music is an exciting industry and you have the opportunity to work in an area that rewards you for having a passion for music. Networking is an important aspect of the music industry and you will be able to collaborate with others who have a similar passion. Most of us were introduced to music at an early age. Maybe you took piano lessons with the dream of becoming a guitar player and starting your own band. If you have musical talents for being a singer or musician a degree is not necessary. Other occupations may require additional training and education. Audio and Video Equipment Technicians jobs require a certificate to be considered for the role. Bachelor degrees are needed to be a Music Teacher or a Music Director. Regardless of the occupation additional education is beneficial and considering many people in this industry are self-employed they are able to utilize those skills to run their business. There are many education options to achieve the necessary certificate, associate degree, bachelor’s degree, or a postsecondary degree. Take the Career Aptitude Test to see whether you would be a good fit for any of the careers above!